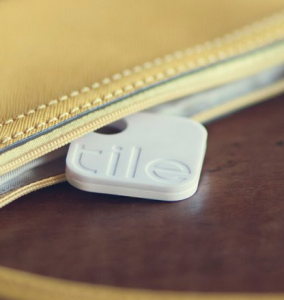 If you’re like the rest of us and lose certain things frequently–keys, bags, wallet, small children–then you’re going to love the Tile. You attach this little device to anything, and if you’re within 150 feet of it, you can find it via an iOS app using bluetooth connectivity (it indicates when you get closer or further away from the item). 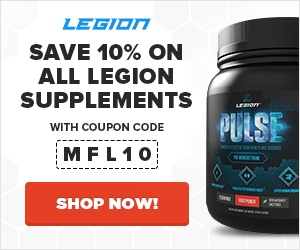 The app can track up to ten items at a time. 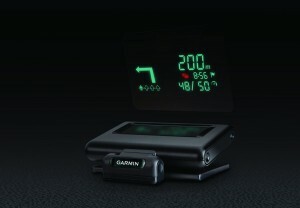 The Garmin Head-Up Display lets you safely navigate while driving by projecting directions onto your windshield. 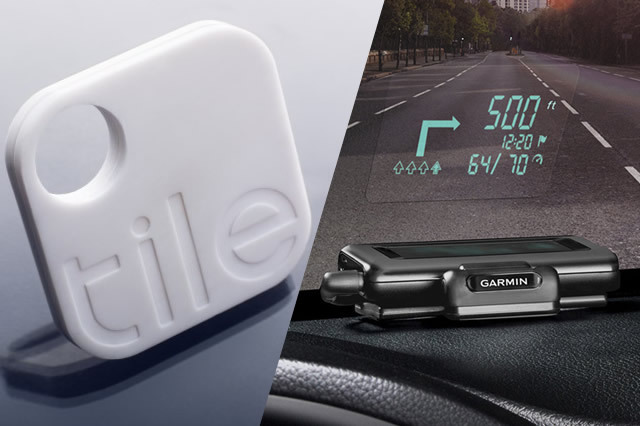 It connects to your phone via bluetooth and when you fire up the app and input a destination, it shows you the turn-by-turn directions, estimated time of arrival, distance to the next turn, your speed, the speed limit, traffic information, and more. Pretty cool. If you’re a fan of the Dark Knight Trilogy, you’ll love this. 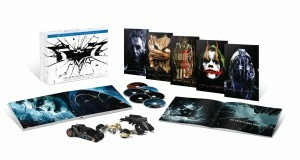 The Dark Knight Trilogy Ultimate Collector’s Edition comes with the three films plus yet-unseen interviews, behind-the-scenes footage, and IMAX sequences of big scenes. It also comes with a couple exclusive Hot Wheels vehicles (the Batmobile, Batpod, and Tumbler), a 50-page book containing production images, and collectible cards featuring each of the major villains. I’m a fan of Steven Pressfield’s work. 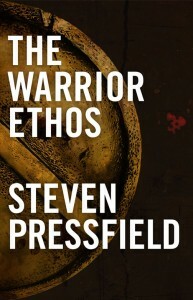 In this Warrior Ethos, Pressfield relates the virtues of warriors to everyday life and how we can use these ancient codes to inspire purpose and integrity, and act more honorably and decisively. Pressfield draws wisdom from renowned armies like the ancient Spartans, Alexander’s Macedonians, and Cyrus the Great’s Persians, and examines their codes of honor and mental toughness that immortalized them as the greatest in history. I agree with Pressfield in that there is much to be gained when you start viewing life as a war–not with others, but mainly with ourselves and Resistance–and that we must learn to fight and win its many battles if we are to succeed. All in all, this is a short, inspirational read, and one I highly recommend.